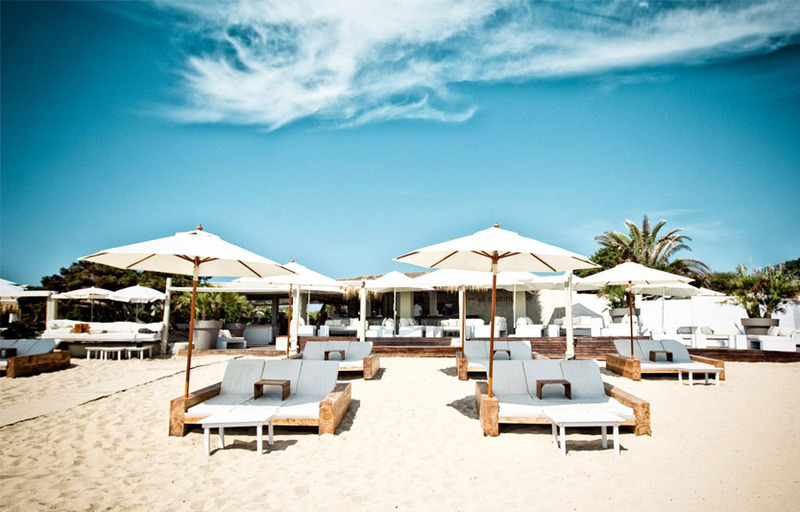 Set on the sand at the very heart of Ibiza’s biggest and busiest beach, Playa den Bossa, is the hottest name in Ibiza beach restaurants. 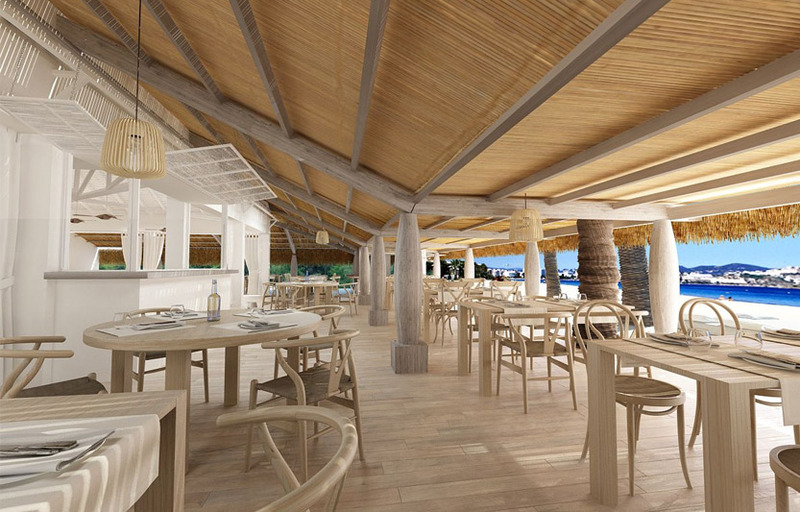 Beachouse has a vast open plan space within the restaurant/bar itself, with a bar at the back and the DJ booth serving as an ice breaker between beach and diners. 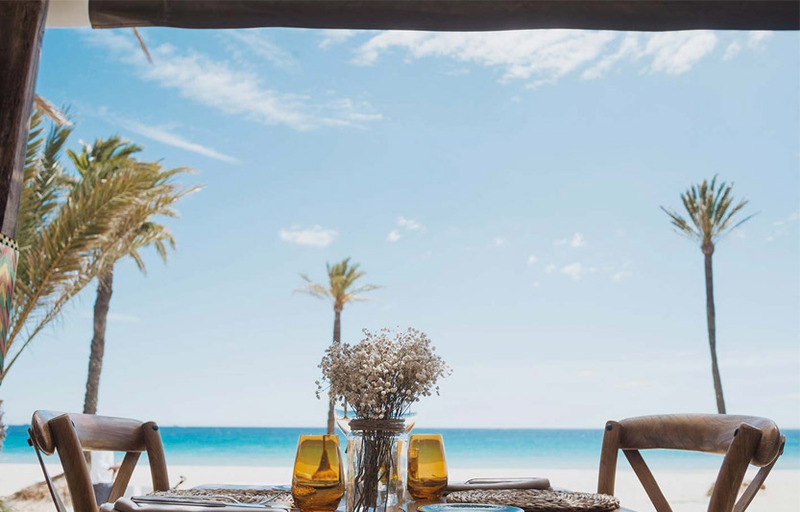 Serving up breakfast and lunch to your luxe daybed, chic sofa or sophisticated wooden table on the terrace daily – BEACHOUSE brings a welcome new level of service, quality and alfresco ambience to the ever-evolving area – also available after dark for private events. Little Beachouse is the kid focused play area towards the rear of the venue, a place you can let your kids be kids while the adults enjoy their time. 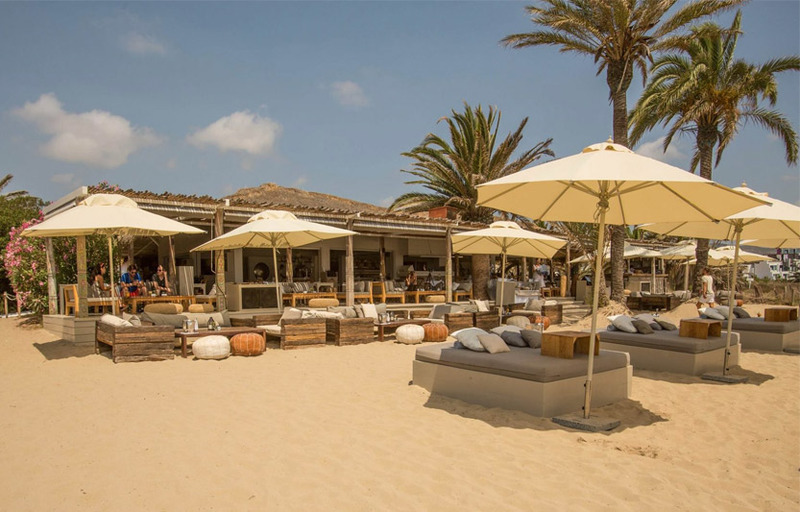 If you should drop into Beachouse you could find yourself staying longer than intended, with a variety of beach parties taking place over the season. In the back of the venue, there’s an area for children to play, should you choose to spend your day at the beach with your little ones. Arrive before noon to claim your bed, and then its a €100 minimum spend. Be sure to book in advance, sunbeds fill up quickly! Beachouse is located at Ctra. de Platja d’en Bossa, 2, 07817 Sant Jordi de ses Salines. How much is cover charge at Beachouse? Beachouse does not charge cover. How long will I have to wait at Beachouse? Beachouse is open every day. What are the best days to go to Beachouse? All days are good. Saturdays are the most popular, however. What is the dress code at Beachouse? Dress to impress! Beach chic is the dress code at Beachouse. Avoid anything that can be considered sportswear (track jackets, jerseys, sneakers, hats, etc). How much do drinks cost at Beachouse? Expect to pay around 15 for cocktails. What kind of music do they play at Beachouse? Beachouse features mostly top 40, with a mix of EDM and hip hop. Where can I find an list of upcoming events / DJs at Beachouse? You can download the Discotech app to see upcoming events, and book tables for Beachouse.